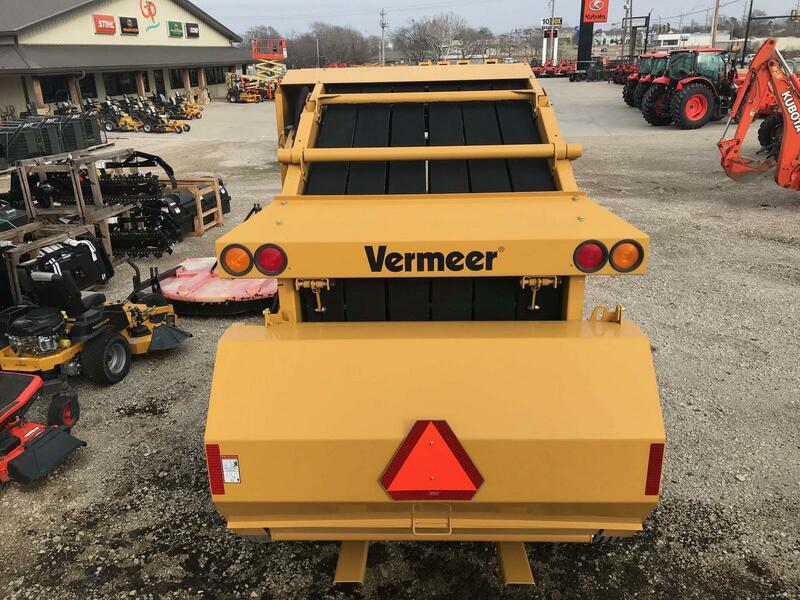 For sale at our Ada Kubota dealership! 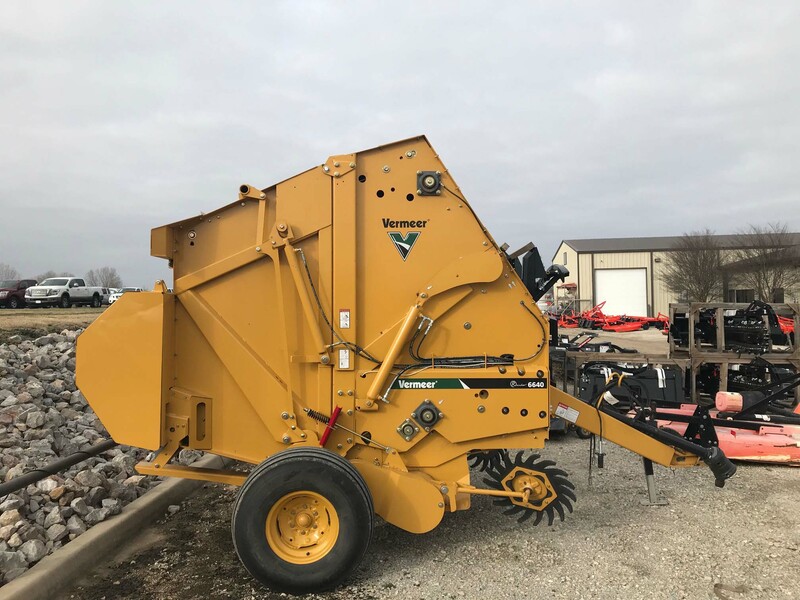 Save before hay season with this used Vermeer 6640 round baler priced at $23,950. This baler is in great shape and is field ready. 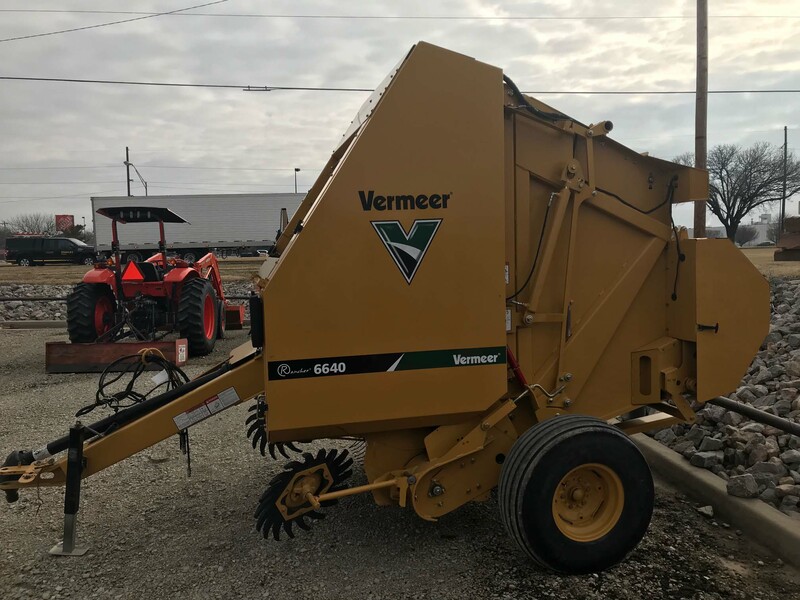 Available with twine or net wrap this used Vermeer round baler is sure to save you money this hay season. So, for more questions on this or any new or used hay tools for sale at Great Plains Ada, give our knowledgable sales staff a call today! The Vermeer Rancher® Balers are right-sized, right-priced and just right for your ranch. Designed for big bale performance and sensible budgets, the Rancher 6640 Baler produces larger-diameter round bales that can be easily moved and fed. 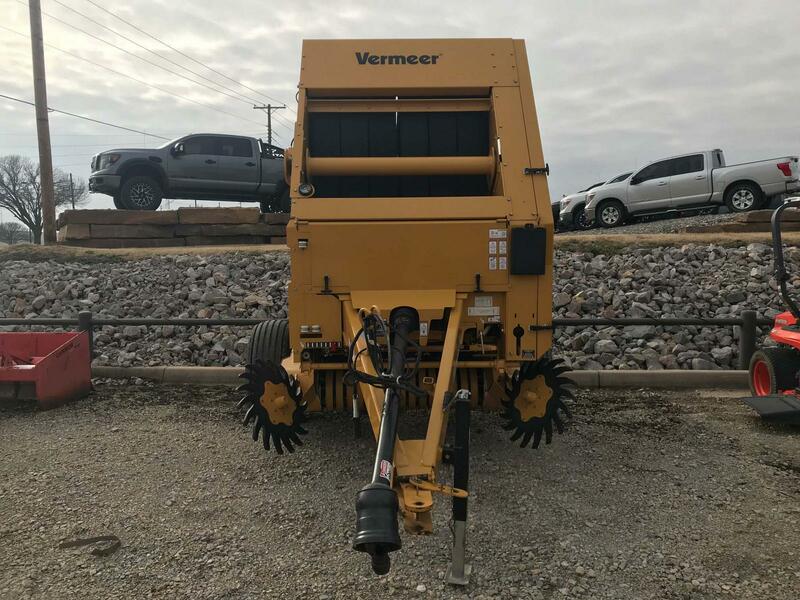 And now, the next generation of Rancher Balers from Vermeer is here. With standard flotation tires (31x13.5L-15) and radial pin pickup clutch, the Rancher 6640 Baler is right for your ranch. •Standard flotation tires (31x13.5L-15) offer improved flotation for smoother handling on rough terrain over previous Rancher Baler models. • Radial pin clutch provides protection at the pickup for durability and reliability. • Haysaver wheels help clean up stray hay on the edges of the windrow, and the improved design makes adjustments simple with just a few turns of the wrench. • Right-sized bales 66" x 47” (168 cm x 119.4 cm) that are big enough for feeding yet easy to handle. Right-sized baler utilizes low horsepower tractors 50hp (37.3kW) for lower fuel consumption. 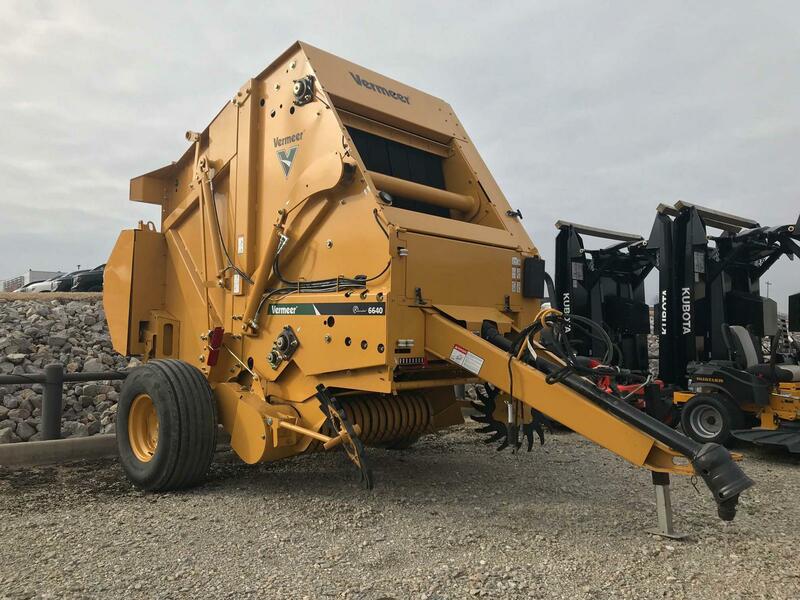 • User-friendly baling operation with the standard Bale Expert™ monitor and optional Vermeer netwrap system, which is easy to load, feed and operate. See the specifications below for additional monitor functions. • See your Great Plains Kubota for comprehensive service and genuine Vermeer replacement parts.